On December 14, the Internet Innovation Alliance (IIA) issued a statement in response to the Federal Communications Commission (FCC) vote repealing the heavy-handed, utility-style Title II regulations levied on broadband in 2015. IIA congratulated the agency for returning the nation’s governance of high-speed broadband back to a framework—originally initiated by the Clinton Administration—that promotes investment, innovation and economic growth. IIA stated that it stands ready to work with Congress and interested stakeholders on bipartisan legislation that codifies core open internet guarantees, treats all internet players consistently and provides certainty for investors to deploy needed expansions of broadband networks. 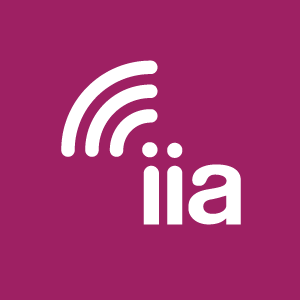 IIA believes that a legislative compromise can both solidify broadband’s information services status and provide statutory permanence for ensuring that 21st century broadband protects consumers and continues to remain free and open. In its annual “10 Ways Being Online Saves You Money” study, IIA found that the average American household can now save more than $12,000 per year on household spending through use of high-speed internet services. As detailed in the report, these significant consumer savings are available to those who take advantage of online offerings, virtual marketplaces, internet tools and mobile applications for web-exclusive discounts and effective comparison shopping. In addition to its broadband cost savings analysis, IIA also released a new supplemental whitepaper, “The Multiplier Effect of Broadband and the Income of American Households,” which examines how broadband helps Americans generate income, particularly via the sharing economy. The analysis found that the typical gig economy worker can cover 6.26% of household spending, according to the Department of Labor, with the earnings (before taxes) from their broadband-enabled side-job. You can read the full report on the IIA site. Mehlman says that by adopting next generation 5G mobile broadband quickly, America is poised to lead in the next transformation in the broadband Internet, our networks will remain global leaders, and Internet businesses will prosper in the years ahead. Mehlman also credits the Administration for recognizing how deeply broadband, and particularly the coming 5G wireless networks, are intertwined with our national security. You can read the full post on the IIA site. In the piece, Mehlman says that Chairman Pai’s plan to Accelerate Wireline Broadband Deployment will remove roadblocks and bugs in the regulatory system that delay too many Americans from getting the fast broadband they need and want. Additionally, Mehlman emphasized that the proper regulatory framework will increase investment in the right sort of technology – the technology that people want. And that investment leads to jobs in deploying the fiber, managing the network, and achieving the multiplier effects that lead to greater productivity, expanding the economy to generate even more jobs. Read Mehlman’s full byline here. In a recent op-ed for Bloomberg BNA, “Clearing the Way for a 5G Wireless World,” IIA Honorary Chairman Rick Boucher points out that equipment needed for the next generation of high-speed wireless broadband service will be deployed differently. Small-cell antennas will need to be attached to street poles, typically owned by local governments or utility companies, but can be situated inconspicuously on a wide variety of existing structures, he explains. Boucher makes clear that old rules about placement and regulatory approval of today’s cell towers are unnecessary and would hinder the nation’s 5G future. He also urges states and local governments to use the advent of 5G technology as a turning point in the regulatory framework for wireless equipment placement in order to realize the broad benefits of America’s wireless future for everyone. To read Congressman Boucher’s Bloomberg BNA op-ed, click here.